More Tips For Martha Stewart's Morning Living Sirius Radio Listeners! As I write this post the day before, I can tell you that it will be my pleasure to speak to the listeners of the Morning Living show on Martha Stewart Living radio on Tuesday, March 16. See this before the 16th? 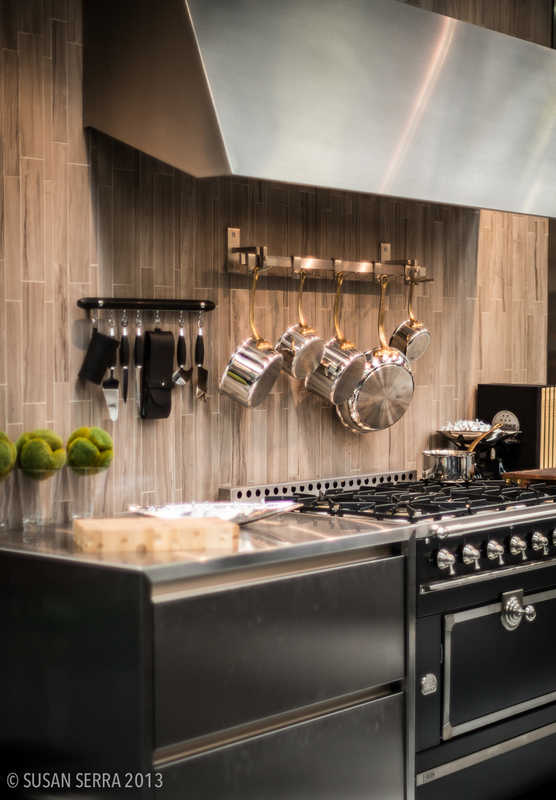 Tune in tomorrow to hear my tips on pitfalls to avoid in the kitchen design process. 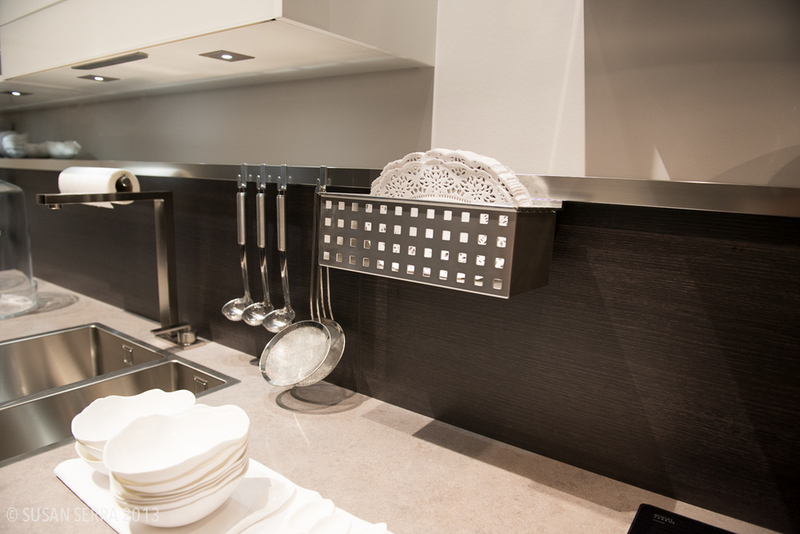 Following is a further collection of my tips to hold disaster at bay as you plan your kitchen design! 1. Identify a trend: I think many of us are aware that trends are something that we see repeatedly in the marketplace. If that is the case, it is most likely that the trend could have a year attached to it down the road as the hot item of that year. 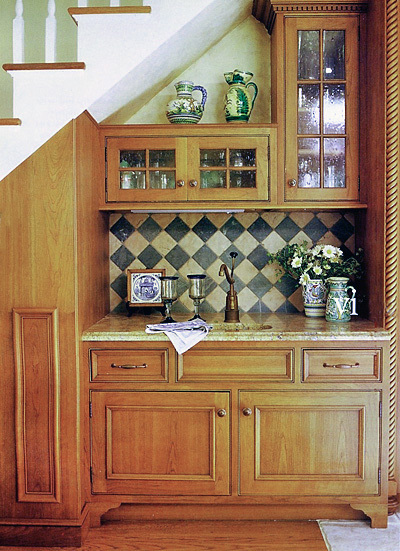 When planning a kitchen, made to last for a couple of decades, take care in identifying trends. 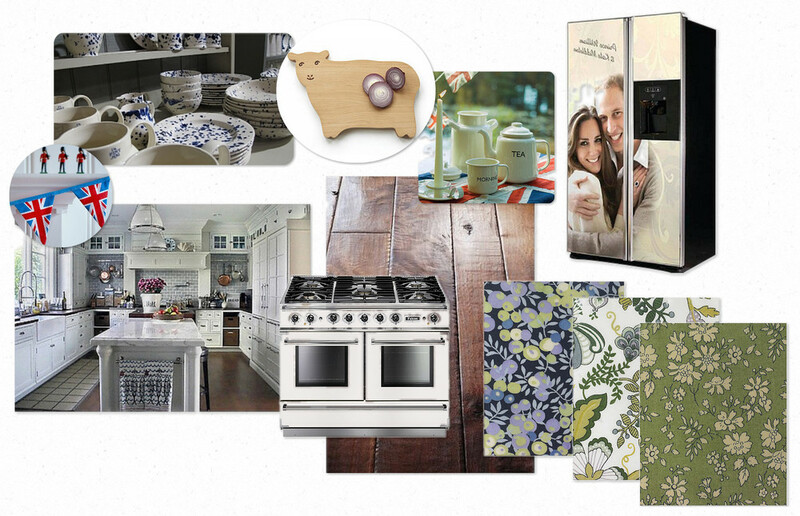 Planning several trends into your kitchen design will date the kitchen sooner than later! 2. When selecting paint colors for your kitchen, always buy small sample bottles of about 3 to 5 different shades. In my experience it is impossible to select a shade from a little paint chip. You'll need to paint at least 1'x1' squares on the wall to see how the paint samples look on your wall during different times of the day. Look for colored undertones. As color is best viewed in context, you will quickly see the color and shade effects. 3. One of my favorite tips...countertop samples. Often, we have these very small countertop samples which fit into the palm of our hands. 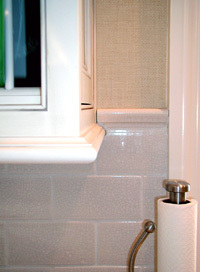 The countertop characteristics are admired up close. Remember, that small samples that look to have seemingly medium to large size crystals, when viewed from a longer distance, will be remarkably different. It's all perspective. 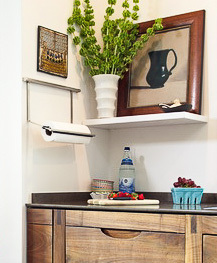 Look at the countertop up close and from varying distances to fully understand the grain distribution and pattern. 4. White cabinetry - It bears repeating, white painted cabinetry with small children under tow for years to come may not be the best combination. Speaking from experience, I can tell you that my white kitchen became considerably worn over time as a result of raising three children who ran into the kitchen directly from the garage door. Think twice about bright white for that reason. 5. 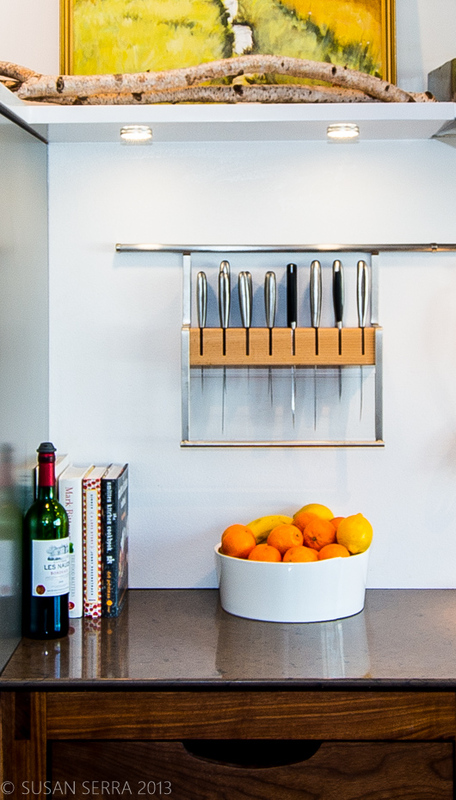 Mix it up - Mixing metals can make your kitchen design feel more authentic, as opposed to perfectly matched metals. 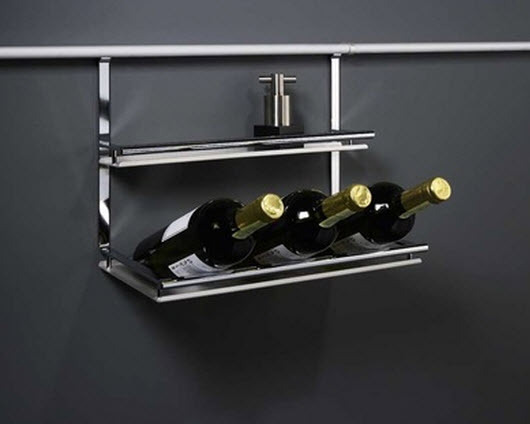 You will find metal finishes on appliances such as stainless steel, your sink, faucet, hardware and lighting. 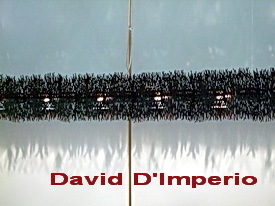 Chrome (an age old authentic metal, on a comeback) and oil rubbed bronze lighting? Go for it! 6. 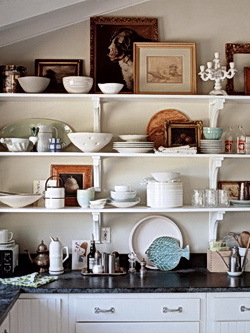 Collection proportion - Do you have favorite collections in the kitchen? Two pieces of advice here: change it up from time to time for a fresh new look, and watch the sizes. Very small pieces can look dwarfed when placed high above your line of vision and if it is also viewed from a surrounding room. Does a decorative piece seem to large to use? It probably isn't. Try it. 7. Cooktop Venting - Do you need a vent? Yes! You want to remove odors, toxins, particulate material, smoke, and moisture. Allow for adequate power in the vent, and do not position your hood more than 36" above the cooktop for the best performance. I usually shoot for 32-34" above the cooktop so I am sure nearly all of the nasty fumes will be removed. 8. A very helpful entertaining companion, the portable induction burner is just that...put it anywhere in the kitchen and you have yourself an extra burner for the holidays. It creates another work station for your assistant chef, and you will not have to juggle pots and pans all around the cooktop. It's a great solution! 9. 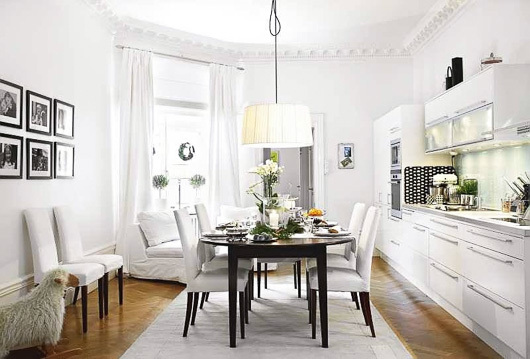 A comfy suggestion - if a banquette is designed into your kitchen plan, do yourself and your guests a favor. 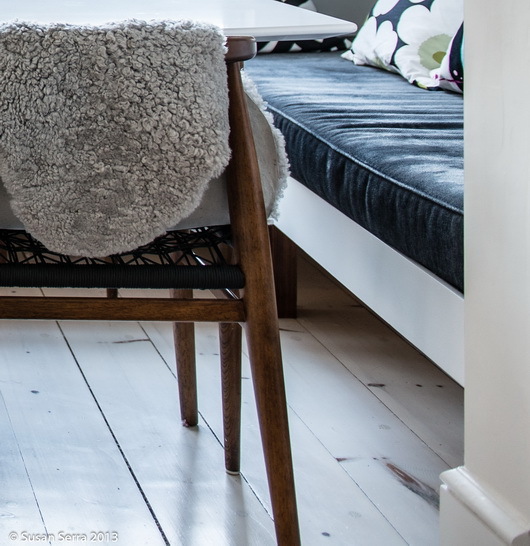 Make the banquette short enough to allow for a super thick comfy cushion. Visualize various lifestyle situations...someone is lounging with a laptop or the newspaper, enjoying the cook's company, relaxing with a cup of tea...there is a lot to be said for a 4 to 5" cushion on top of your banquette as opposed to a thin 2" cushion. Do not underestimate the importance of comfort in the kitchen! 10. 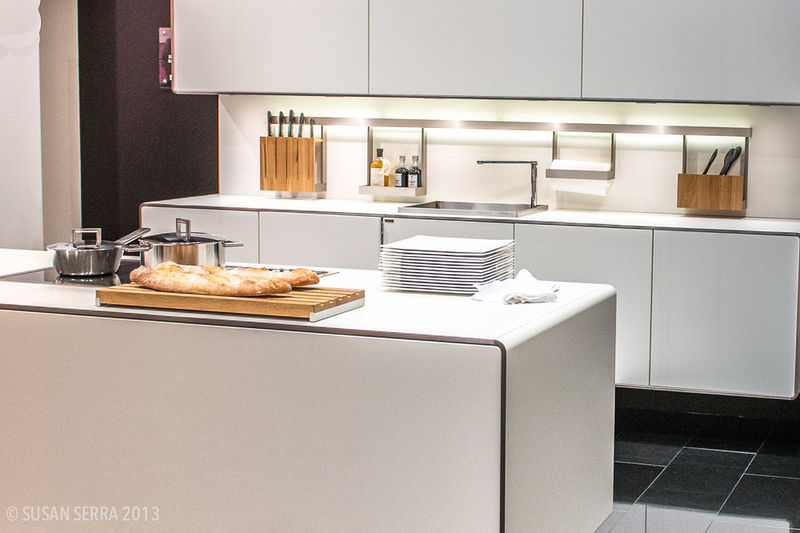 The best thing you can do for your kitchen design is to hire a competent and creative kitchen designer! He or she will guide you step by step throughout the design process to help you plan the kitchen you have dreamed about. 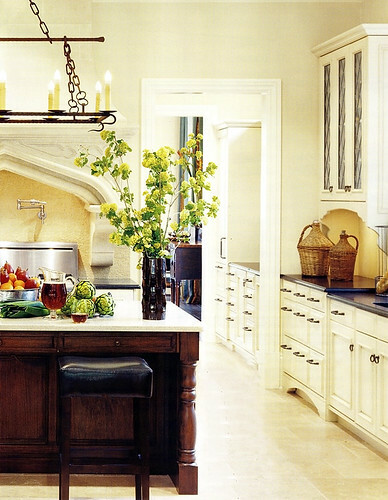 When you do a kitchen once or twice in your life, it makes sense to seek out a specialist. Questions, or comments, please feel free to chat! Here is more of Martha's inspiration too! I want to show you kitchen stories - 89 of them to be exact, courtesy of Electrolux, which is celebrating its 90th anniversary this year. SO...these 89 people with stories are all "kitchen stars", but Electrolux needs just one more to reach 90 - will that be you? I'm crazy about this concept and find it absolutely fascinating looking at all these (real) kitchen stories from all over the world! You can be the 90th kitchen star! To enter, you must have an Electrolux appliance, even a small countertop or small vacuum appliance is ok. I don't love that requirement, but I DO love the kitchen stories! Enter or not, the kitchen stories are there to enjoy. 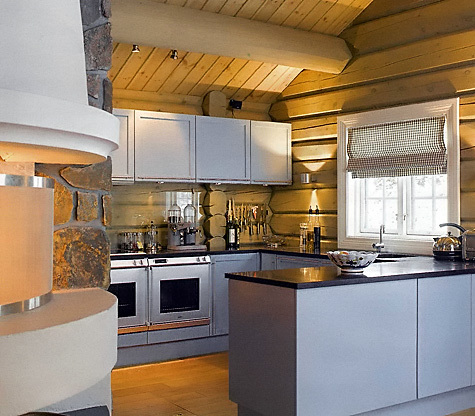 I just started writing/editing ideabooks for Houzz on kitchen design. I certainly knew of Houzz but due to my busy world, did not focus on the site in depth until I was asked to take a look at it and to add my expertise on kitchen design as a regular ideabook (love that name) contributor. has ideabooks that are crazy/fun/beautiful/cool/etc. Here are a couple of recent posts I have written that I'd like to mention. This first post was written for my colleage, Kathy Barlow, of the Home Workshop blog. It's about how to deal with those migrating small appliances on our countertops. Take a look! Another post for Decorati that I have not shared with you is an in depth look at the open kitchen floorplan - is it for you? It addresses potential issues, provides ideas for dealing with common problems and gives a fresh look at this emerging concept that many are feeling more and more comfortable with. As a realtor friend told me, "the ad that people respond to is the one that says 'open floorplan' in it." Of course, it's not for everyone, but I think it's a concept worth looking at at this moment. 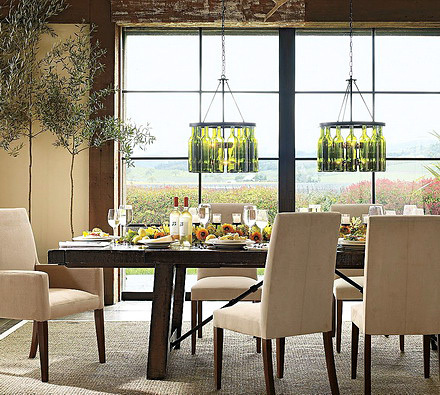 I just saw this new fixture from Pottery Barn. It is showcased in their newsletter that I received. At first glance I really didn't care for it. Too...something. Contrived? Uninspired? 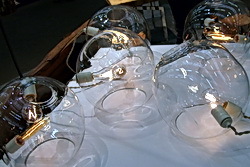 Too much like other lighting fixtures that incorporate common objects like silverware or glasses, etc. etc? Twenty seconds later, I think I like it. While I don't think I'd buy it, it's the sculptural quality of it that's speaking to me now. I think I'm over my initial cynical thoughts. I do like the use of two fixtures over a table, although these should be set further apart. Could be great for a kitchen dining area/breakfast room too. What do you think? 1) Like it or 2) hate it or 3) a New Yorker's "eh" (with a smirk and a right tilt of the head-stop, let's not forget the half closed eyes)? I've been meaning to show you this picture of another light floor. I simply love the feel of the light floor and the light cabinetry. 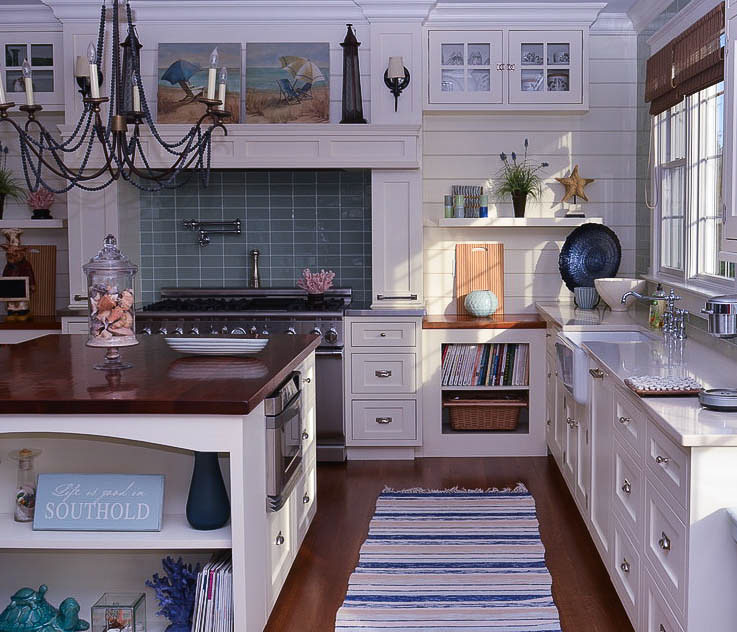 I like the horizontal dark element of the counters and I like the "important" or strong, feeling of the island in wood. The island, to my eye, does not overpower the other light colored elements. The reason it looks balanced to me is that there is so much MORE light colored elements in the room, balanced with just a few areas of the dark color. In other words, it makes sense proportionately in regard to color and tone balance. I also think this image goes a long way toward being serene, don't you? 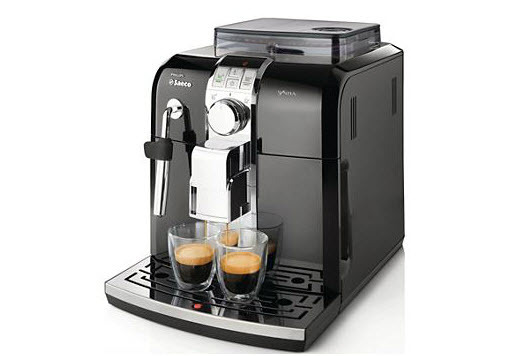 It has great interest, yet it is easy on the eyes and looks very spacious. The light floor, walls, and cabinetry, and understated backsplash, go a long way to achieve this quiet elegance. The floor...I think this type of floor, being quite textured, is fine in terms of being "busy enough" so you don't see every crumb immediately (unless you bake a lot of brownies.) 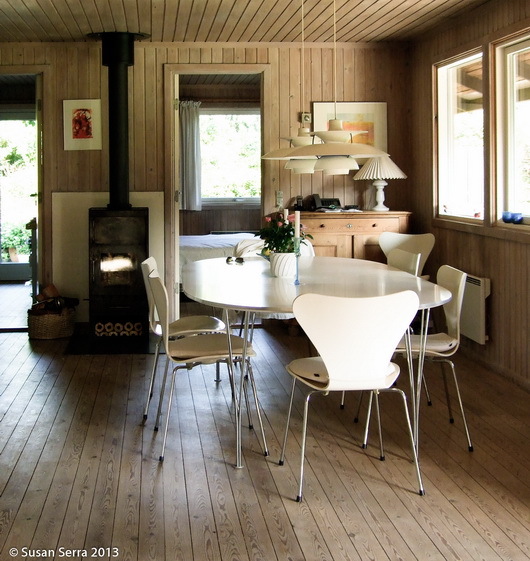 The recent popularity of super dark wood floors is no better for spots, dings, dust, and so on. The best floor is a medium tone. But, to me, something REALLY speaks to me about a light floor. And, yes, for me, it would have to be textured. I'll have one, one day, in some form. This floor is limestone by Walker Zanger. Yes, limestone needs sealing and nervous care. I'm usually a conservative type, so I do not recommend it. As seen in the June issue of Veranda. 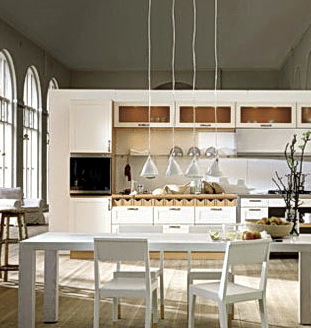 Top Ten Secret Kitchen Design Tips - Lighting! Do you think lighting is boring? Do NOT touch that mouse...I promise to totally excite you with these tips, ideas, and whatever, about lighting your kitchen. Here we go... (come on, get ready, settle down!) These are quick, useful, and un-boring ideas, like take-out from the gourmet food store. Maybe not ALL you need to know, but close! 1. Let's talk style! Lighting is jewelry, end of story. Think of it as such. It says something, a big something. Whatever you want it to say, it says it, and says it loudly. Do you want to pick something safe? It will say safe. Do you want style that's "out there"? That's your message. What's the point? 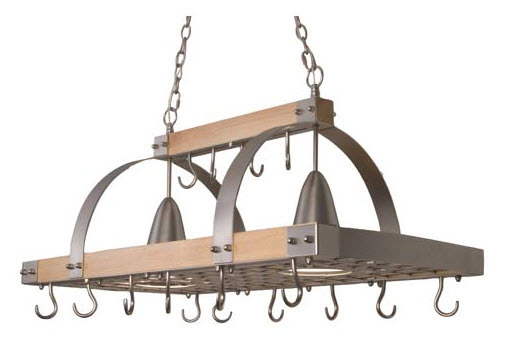 Take your fixtures' design SERIOUSLY please...put TIME into choosing your lighting jewelry. And, no, you need not worry as much as you think you need to worry, about the fixtures bumping your head. See? I knew you were thinking that! 3. 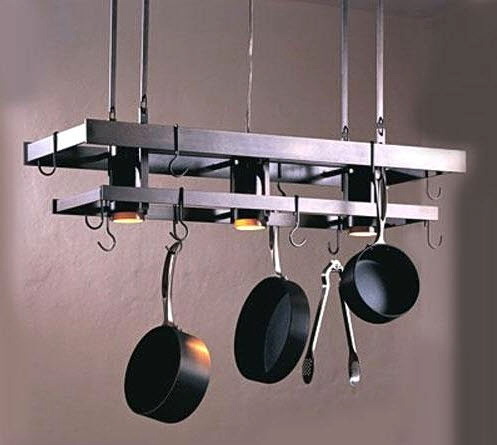 Pendants - hang 'em HIGH! Some pendants look okay hung high, and they would be wider/bigger/fatter fixtures, please, not the small ones hung high. Please! They will look lost, or worse, insignificant. I can think of lots more adjectives of an unfortunately negative nature for small pendants hung high! 4. Pendants - hang 'em close together! They do not have to be hung 3' apart (yawn) over the island. Put a few close together, especially on a smaller island. Where you'd normally put 2, put 3 closer together. 5. Does the island have a seating area? Put two different types of fixtures on the island...pendants on the work part, a larger fixture to feature the seated part. 6. Mix your metals, finishes, colors...do it with care, I don't want the lighting police banging on your door, but get creative with complementary styles and color. 7. Don't forget the dimmers! 9. Recessed Lighting - There are two schools of thought...the recessed lighting plan is either a) equally spaced in a logical grid type pattern (watch the swiss cheese effect-too many lights) or b) positioned over certain elements without a strict grid pattern. Give thought to which you prefer, keeping in mind if a light is off center close to a featured cabinet, it could look like a mistake. Take care in your planning. Me, I usually look to see what features are important in the kitchen, and sometimes use a particular feature as a starting point and then move off from that, like the hood, for example. Then, of course, get ready to do it all over again once the electrician says, "lady, there's a beam in the way!" 10. 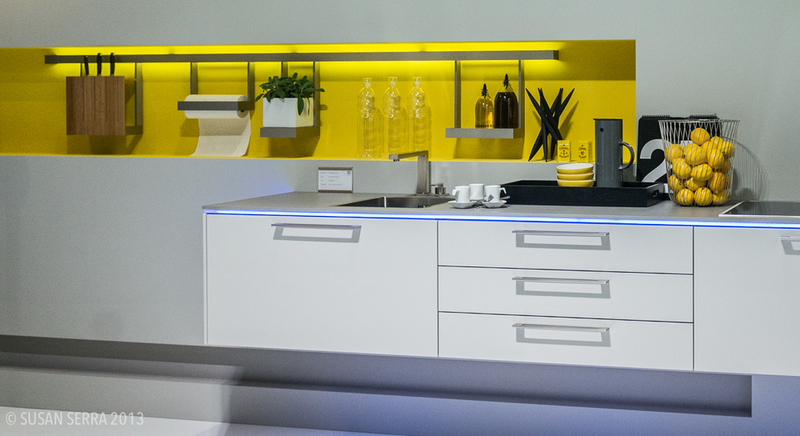 Under cabinet (not under counter as it is typically called) lighting - LED lighting is PERFECT for this application. Look it up, and again, save the planet. It is crazily energy efficient! There, wasn't that fun? I had a great time! I've talked about this before. The period of time just before an order is submitted to the factory. It's the time with the most pressure, as once released to the factory, that's it forevermore. The right and left sides of the brain collide but must work together...or else. End of story. This level of detail and, really, engineering, when working with custom cabinetry, doesn't make kitchen designers good people or have the ability to create world peace. But, I include this to illustrate the interesting result of both sides of the brain working together. The next time you see your kitchen designer dressed fabulously, and laughing about something or other, remember, he/she may also be delving into the dark side of detail behind the scenes, unbeknownst to most. I'll also share with you that, again, this particular cabinet happens to reflect a good deal of risk on my part, to absolutely maximize storage for this home chef (but a real chef.) His kitchen is an orchestra pit and he's the conductor. Does that make any sense at all? I can predict what will happen is that I will watch with utter excitement as this cabinet is put into place and the adjacent cabinets and appliances are put into place and i will stand there and AUDIBLY marvel at the symphony of all these fractions of inches working together, each fraction of which I chose. I tend to get very excited, when I design a risky, expensive (thousands $$$) piece of custom cabinetry, and people around me tend to shrug and look at me strangely when I say "YES!!!!" (IT FITS.) It's really true. That's ok, I can celebrate by myself. :) In the meantime, however, my fingers are CROSSED. But, if you're the client reading this, don't worry...I can't remember the last time a cabinet didn't fit. Really. Apron will extend into far left and right openings 2.5"
Blocking extends into opening 0.688"
There's four more lines, but I think this is enough. Kitchen Artwork - You're The Arteeest! K+BB Green's Jeff Holloway, CKD, who blogs on green kitchen and bath products, issues, and ideas, also looks at green focused kitchen and bath issues, but look beyond that post, and you will be enlightened in a green way. 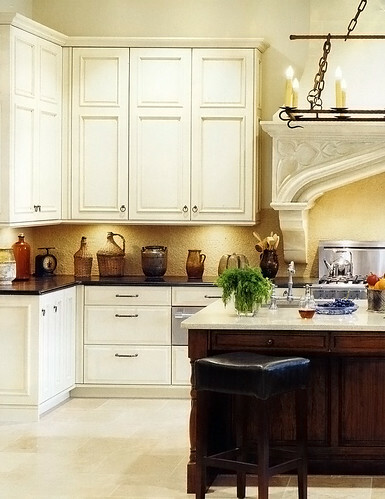 Peggy Deras, CKD, from Kitchen-exchange, has a great post on a free service for lighting questions. Let me tell you, planning lighting for any room in your home SHOULD be given first rate attention. It's a small price to pay (in this case none) to get it right the first time and to "see" clearly what you need and want to see! 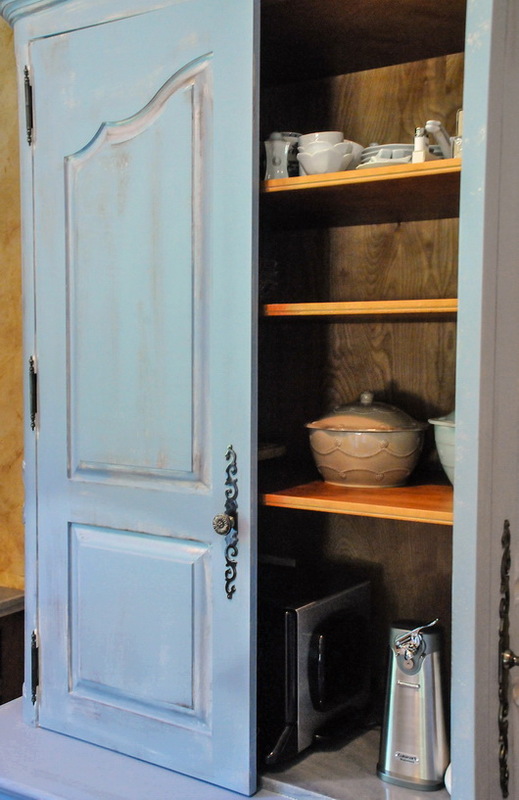 Ann Porter, CKD, of Kitchann Style has a very interesting post on opening up, or visually enlarging small kitchens. Now, the conventional wisdom says that one must pack in as much storage as is possible in a small kitchen. 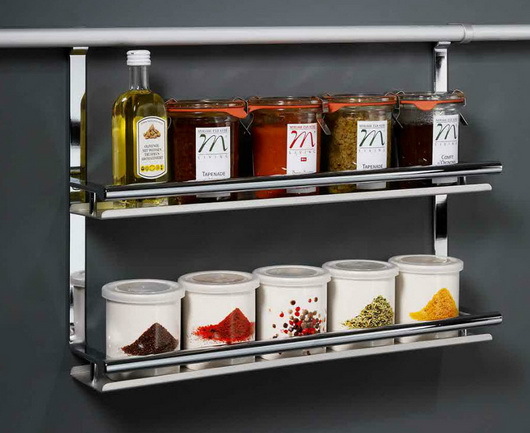 As Ann says, it's more about finding alternative storage solutions, with the benefit of a much more spacious look to an otherwise small feeling kitchen. I like this way of thinking! 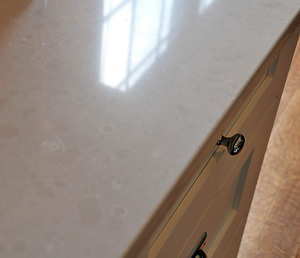 Laurie Burke, from Kitchen Design Notes, talks about the maintenance of soapstone. Soapstone is a quite misunderstood material. No need to be freaked out by scratches...with a little elbow grease, your countertop is brought back to life and lustre. Explore, there is more on soapstone in the blog.